Last year, as a kind of sub-strand to Urban Species’ line of Transformers/Simon Furman signature T-shirts, I sat down with the Urban Species team to discuss all things Transformers and my career in general. That interview is now a fully edited piece over on You Tube. Enjoy. Quick shout out for the latest issue of Eaglemoss’ excellent Marvel Fact-Files, a growing A-Z of every Marvel character, from the renowned to the obscure. To which, as it happens, I’m a regular contributor. 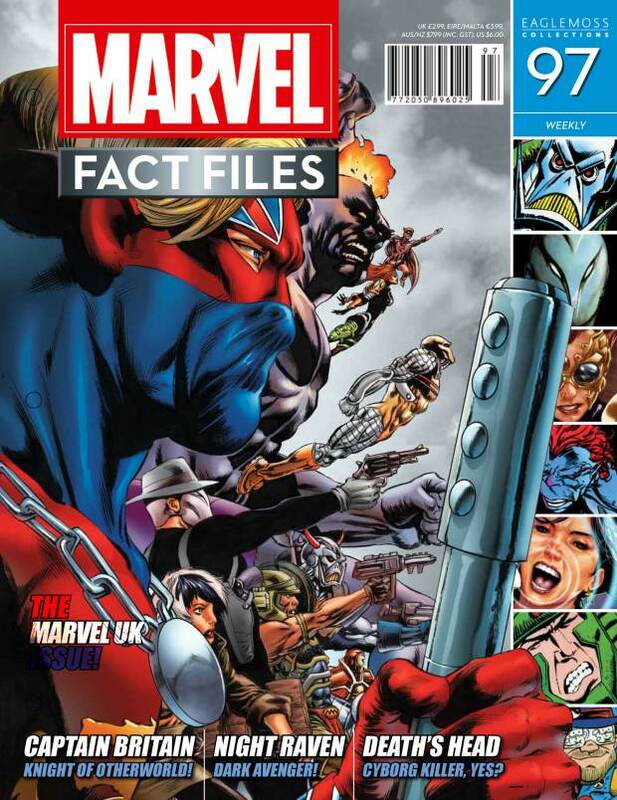 The current issue (#97) is dedicated wholly to Marvel UK characters and strips from company’s rich history of publishing originated material, including The Hulk, Death’s Head, Dragon’s Claws, Captain Britain (the Parkhouse/Stokes era when he was teamed with the Black Knight) and Sleeze Brothers. I’ve duly contributed to the two I co-created (Death’s Head & Dragon’s Claws) as well as turning my beady eye on the fabulous Black Knight strip that co-starred Captain Britain (though before my time, I was later assistant editor on Captain Britain Monthly, and diligently read all that had come before). Some newsagents do stock Marvel Fact-Files, but it’s more a subscription thing or you can order direct from Forbidden Planet. Grab a copy while you can – it’s sure to be a collector’s item. You are currently browsing the simon furman blog archives for January, 2015.